Res1 War: January 31st, 2016. Start date hath been confirmed. We ended up having a bit of a hard time getting things finalized and decided, though that's largely attributed to everyone being busy with New Years and classes starting up again for most people. Not to mention losing power minutes before a WC meeting, which was pleasant. Jan 24th at 5:00 PM EST will be the final map testing session, so any maps you want to have used in the war, make sure you bring them!! After the map testing ends, we'll be starting the Map Selection to decide what maps will be on the warmap. We'll be trying to get it streamed for anyone who wants to watch it at the time. The above is just the structure template we have. The final version is being made by Guzzie at the moment and should be nice and pretty. Expect to get the first glimpse of that when Attack Plans are posted next week. Alongside the warmap above, the Rules of Engagement have also been posted. Click below to check them out. As stated in the previous updates, these Rules of Engagement are an attempt to improve on things in the past. Removing most potential exploits, introducing more variety in perks, and streamlining a bit of the complexity. The economy system used in previous wars was often the most difficult aspect to use properly and it also exposed a lot of potential exploits; with this being replaced by a card system (similar to WarLight to those familiar), it solves a lot of the problems that we used to struggle with. For those interested in being involved in the strategies your army will be employing this war, give the RoE a read through. For those who think they might be interested in helping develop those strategies themselves, talk with your High Command members. If anyone finds something confusing or has any questions about the RoE, feel free to message me and ask. To the chagrin of many, the January Update isn't coming with new gametypes like King of the Hill or Oddball. However, the teasers about the February Update seem promising. If 343 doesn't deliver, it's likely to hurt the Halo 5 population rather significantly. BTB gametypes will use AR/BR starting weapons, while the normal gametypes will be AR/Magnum, same as the Beta War used. 6v6 maps will use the BTB gametypes. The specific settings used will be effectively identical to the Res0 v3 gametypes, so no major changes. You'll be able to get the gametypes off my fileshare before Map Testing this Sunday. Once 343 gives us KotH and Oddball, we'll be adding in gametypes like Hill 30, Sabotage, Occupation, Asset, and Ricochet to the official gametypes list. In addition to all this will be the Skirmishes before each battle, which will continue using alternative and unique gametypes and maps. You'll find mention of this in Section 4 of the RoE, and winning the Skirmishes will net your army some rewards to aid in the war effort. The exact list of potential Skirmishes is not yet finalized, but should feature plenty of variety. However, quick question: would you guys rather vote on the Skirmish each week (like was done in the Beta War) or have it chosen randomly (or have a preset pattern) and be surprised? Over the last month we've been having Map Testing every Sunday. We've had varying turnouts, but overall we've been able to get some good testing in on a multitude of potential maps. Thanks to those who have been showing up and also thanks to those forgers who were making the maps that we played on. This Sunday, we'll be having the final Map Testing before we decide on the maps. This will be your last opportunity to get your map tested, and it needs to be in a near-final state by Sunday. If it plays poorly and people don't have fun, we likely won't place it on the warmap. We try to be considerate toward community-made maps, but we also need to have some standards for quality. If you have a map and can't be there on Sunday, message me ASAP and tell me to test your map for you (tell me the map name please, especially if you have dozens of maps saved...). It needs to have working spawns, be compatible with Slayer, CTF, and Strongholds (3 bases), and have a decent weapon setup. If it's asymmetric, you can skip out on CTF. Because we want to do some extra testing this Sunday, we'll be starting an hour earlier, at 5:00 PM EST. If you're available, we'd appreciate having more people able to be there and help us make sure the maps are of decent quality. If you paid attention to the Warmap earlier in this update, you'll know that we need 20 maps in total. A good portion of those will be on-disc/DLC maps, and the remainder will be forged ones, either made by our community forgers or from elsewhere on the internet. Pretty soon we'll see the state of things, and then during the Superbowl/Valentines break we'll see about making a few adjustments if needed. There's not that many days before the war starts, and it's time to get back into gear. Things have been quite relaxed for the last month, with only a few squads continuing to hold regular events. If your squad hasn't been holding practices or game nights, you should start now. Get playing together. Coincide practice times with other squads to get some scrims going, maybe. Perhaps have some army-wide practices. Officers and HC should go over the RoE and start discussing it among yourselves. Put together a vague plan for the first week, and ask any questions you have about how the RoE works. Be prepared for the Map Selection so we don't spend 3 hours doing it. Average members should be sure to participate in squad and army practices. Show up at the Map Testing this Sunday at 5:00 PM EST. 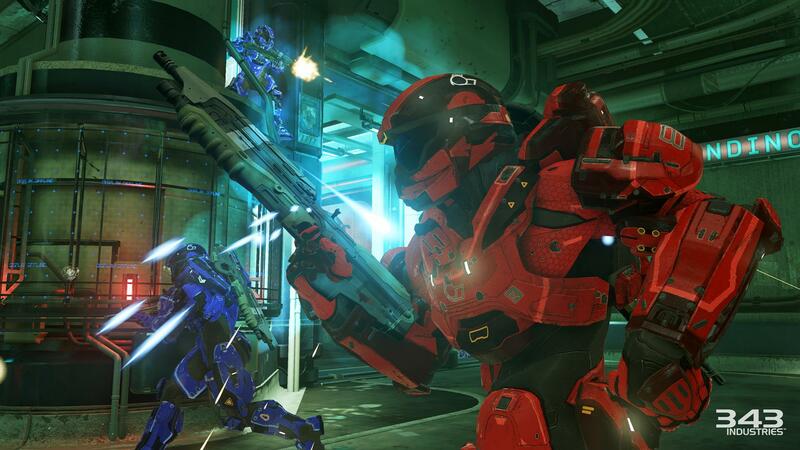 Maybe play a bit more Halo over the next week than you've been doing the last month. Gotta get rid of that rust. Spread the word about the war starting! Jan 31st! Hoping to see a good turnout for the final Map Testing, and then an even better turnout for the first Battle!